as the true Capital of the Nation. The G-d of Abraham..Isaac..and Jacob. Israel in the Eyes of God. that are of consequence to Him. death on the cross of Calvary, at Jerusalem,in Israel. So, who are these three groups of people. 1. 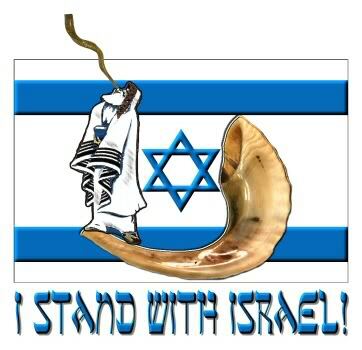 Israel, the Jews, God's chosen people, His earthly inheritance. 3. The Gentiles, everybody else on this earth. to the land of promise, even in unbelief. (Ezekiel 36:24-27, &39:22-29). to divide His,God's land and subvert His purpose. own peril. (Read Joel 3:1-2 & Daniel 36:45. World with a rod of Iron. HE will judge the Church, his Bride. HE will judge Israel, His people. HE will judge the Gentile Nations and their ruler. The Church of Jesus Messiah has not replaced Israel. Him"What is this problem you have with the Jews," would you? After all, Jesus Messiah is Jewish. To Israel we say "Your Messiah and King is coming, prepare for Him". To the Church we say "Look up, your Redemption draweth nigh". You must be born again (John 3:3.) or you will surely die. In The Book of Ruth we see. But we must remember Naomi is Ruth's Mother-in-Law .............think about it. They shall prosper who love Thee.